How much do you read per day in your native language? 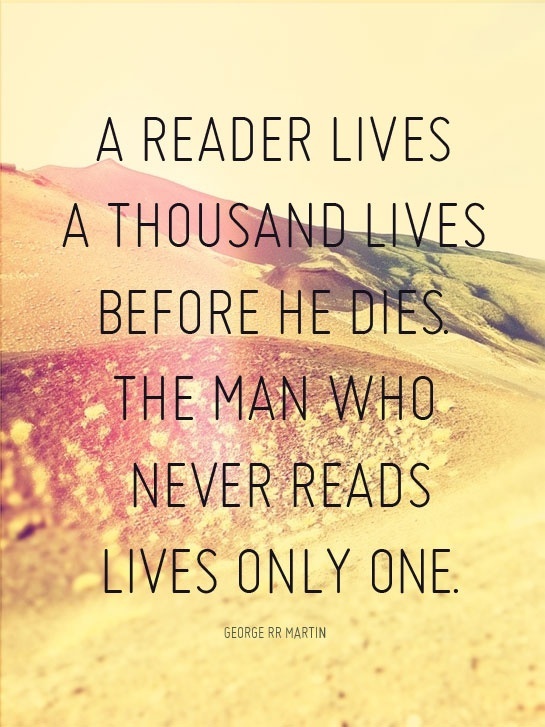 Some of us read more than others. Some people just plain enjoy reading. Others only do it when it’s necessary. Either way, we all read every day—be it the morning newspaper, comics, facebook posts, tweets, books, or blogs like RealLife English (if you’re reading this you obviously enjoy reading…). Reading is a FANTASTIC way to improve your English, no matter what level you’re at. And for many more reasons than you might think. Whatever level you are, you should be reading something in English. This article will give you some reasons WHY you should be reading EVERY DAY in English. And some tips (recommendations) on how to improve your reading experience. This might be obvious to you. If you read, you’ll encounter new words and expressions. The more you read the more words and expressions you’ll learn. But you need a smart way to go about reading. Otherwise, it won’t be fun. And I GUARANTEE you, the best way to learn a language is by having fun. “Ok, now I understand.” Next sentence. Do you see how SLOW reading like this can be? This was my process the first time I tried to read a book in German and it was BORING. I could read one page every five minutes, when I was fast. The solution? Isn’t it obvious? DON’T read with a dictionary. As soon as you sit down to read something, know that you’re NOT going to understand Every. Single. Word. It doesn’t matter. You’ll understand enough to get the big picture (understand the main point or argument). Try this: read with a pencil. Every time you see a word, phrase, or expression that you don’t know, underline it. Then later, go over a few pages or a chapter and write down the words in your vocabulary journal (don’t have a vocabulary journal? Then you need to read this). You can then practice these new words and expressions with a program like Anki or Quizlet. Through this method, first you’ll understand the big picture, and then later you can worry about understanding everything. In a language that I know well, like Spanish or Portuguese, I don’t even look up the words anymore because I understand the majority of them through the context. Once you get better at reading, your English will be AWESOME and you’ll understand through context, too. Read what you like to read anyway. If you read the news everyday, then try the New York Times. Or, my favorite, the Economist. If you’re just starting to read, then my recommendation is for you is to REREAD a book you already like. If you know the story, then it’s much easier to get through the text without needing to understand EVERY word. And to understand by context. Just get in the habit of reading EVERY. SINGLE. DAY. Even if it’s just for five or 10 minutes. It will make a huge difference in how much English you know. At the time of writing this article, I was reading two books in Portuguese. The first is a book on business called the Four Hour Workweek (Trabalhe 4 Horas Por Semana). I also was reading a series called a Song of Ice and Fire, in English, but I finished the third book. Because it’s such an addicting series, I started reading the fourth book in Portuguese, A Feast for Crows (or Festim dos Corvos in Portuguese). Now I’m reading a book in Catalan called la Plaça del Diamant. If I can do this, I guarantee you can find a great book for your level, too! Want more tips on what to read? Look here. Grammar? Easy? What are you talking about? The best way to learn grammar is not by memorizing the nitpicky (overly specific) rules. The truth is that native speakers don’t always follow the grammar you learn in school. So there is a better way to learn real English. Speaking and listening to English are two great ways to do this. By reading you can learn English innately (naturally). 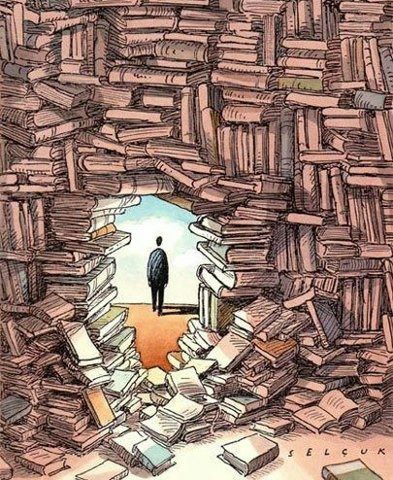 The more you read, the more it will be absorbed into your brain. You learn to observe and imitate. When I lived in Spain, I read A LOT in Spanish. I read for classes, I read the news in Spanish, I read street signs and advertisements. But most importantly I read for FUN. The materials that you will be most involved in reading are the things that you enjoy reading either because they are interesting, funny, or leisurely. The more I read in Spanish, the more I noticed that I spoke better, too. I sometimes would say words or expressions, and not even remember where I’d learned them. I learned them INNATELY by Reading. My grammar got better, too. I conjugated without needing to think about it. I knew the syntax and structure of sentences without hurting my brain remembering what the rule that I learned in Spanish class was. Most importantly, I was learning the Spanish that people actually spoke. Don’t you want to learn the English that we native speakers really speak? You don’t need to live abroad to read. You can find TONS to read online. And books in English are available in any city. Also, Amazon ships internationally, and might even be available in your country. Just as your speech will improve, so will your writing. What’s the biggest advice given to aspiring writers? READ. And read. And read some more. This is how you learn good style. You read successful authors’ works. You see why they are successful (they use powerful similes, foreshadowing, creative imagery, etc.). Just like how if you want to be a great painter, you have to study the style of other painters in order to improve your own style. It is all observation, imitation, and repetition. 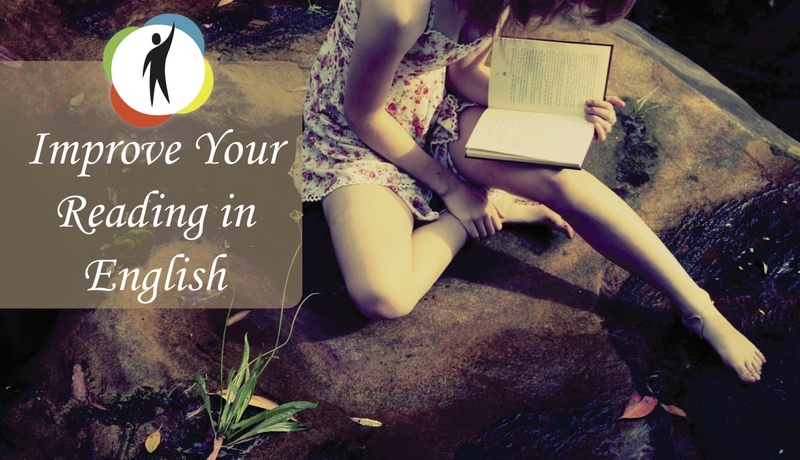 So what should you do if you want to improve your writing in English? You’ll learn how to EXPRESS yourself in English. You can change your writing from shoddy sentences filled with errors and doubt into a beautiful expression of your inner thoughts. It’s your second language, so it might not be PERFECT. It’s not important, you can still write wonderfully in English. Last, I want to recommend you check out Lang-8, where you can have other people correct your writing. Do not fear your mistakes. Aim first to improve your style, and the errors will soon disappear. Some of the best, most non-biased information is found only in English. Many countries are famous for having one-sided media. Although this does exist in English speaking countries (there is A LOT of it in fact), there is also a lot of wonderful news and information sources. If you want a great publication, the Economist, which I mentioned before, is one of the BEST. Blogs are also an awesome source of information about ANYTHING. And there are more in English than in any other language. Whatever you have an interest in (business, gardening, technology, languages, self-improvement, meditation, etc., etc., etc.) there are a dozen blogs about that. Some that I enjoy are Fluent in Three Months, Mark Manson, and I Will Teach You a Language. Or just do a Google search (type in something on Google, click more, and then click blogs). 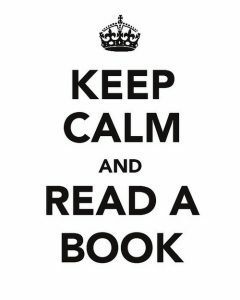 Just find something to read and START reading today. Not tomorrow. Not this weekend. TODAY. Reading is a huge part of improving in any language you learn. Just make sure you don’t become an inward English learner. By this I mean: remember to practice listening and speaking. To be EXCEPTIONAL at English you must read, write, speak and listen to the language every day. You must STOP making the excuse that you don’t have time. Do you really want to speak English fluently? Then MAKE TIME. Want to know how to make time? Check out this article. I challenge you to find something to read in English (I don’t care if it’s a book, a magazine, a blog, or a newspaper) and spend 15 minutes reading it. Underline any words and expressions that you don’t know and look them up later. Find at least 15 minutes EACH DAY when you can read—while you’re eating breakfast in the morning, while you’re on the bus, on your coffee break, or before you go to sleep. Just not while you’re in your car in traffic… I won’t be held responsible for a car accident. Make a commitment. Say, “I will read something in English every day while I eat breakfast.” Or even try a 30-day challenge. You’re doing great already by reading this blog, but challenge yourself to read more. And read different types of text (blogs, news, novels, nonfiction, wikipedia, how to train your puppy). You can be fluent in English. But it’s UP TO YOU to make it a part of your daily life. What you are going to read this week? Write it in the COMMENT box below. I'm going to read at least a few articles that pops up daily at digg.com. This week I am going to read stories about St Patrick's day, and news on The New York Times journal. Thanks for your great advice on the reading skill. Good article.I am reading A Feast for Crows too, but in english. hi. thanks for the article! I'm going to read the articles in this site (I've just found it and I like it) By the way I read very often. And now I'm reading a few books – in English it's some very intresting books about love and life and in my native language it is a book about how to make your own business getting well. great advice, start from now I am going to read read and more read, then I’ll try to write anything that interests me. Good topic to read and improve at the same time, I read every single word very carefully to practice my diction and pronounciation, thanks a lot. God bless you. I’m going to read this book “The courious incident of the dog in the night-time”. Mark Haddon. your way of writing article is quite simple and easy to read anyway i like it and thank you for the tips…! Wich one? The Canterville Ghost? Hi Ethan, and thanks for one more time share with us great articles how that. I already practice my English reading a bit every day, but I go try increase the amount of articles, books, whatever thing that might help me up my learning in English. And mainly improve my writing, too. Thank you. See you. I’m going to read some articles about running technique. Song of Ice and Fire too! I am reading the first book and it’s quite interesting to see how I’ve read more than 200 pages without understanding every single word. It’s really possible. Thanks for encourage me, guys! Aww yeah, I going to try a book as well. Great Ethan, thank you! I' m going to read a book " Leading with honor ", about an american military leader in the north Vietnam war. Imagine his leadership is something good to learn, and many new words can appear. Good advice, good article. Hi Ethan, I liked your article a lot. All your comments and advice are very helpful. Thank you so much. I'm reading a book written by Frances Mayes. It's "Under the Tuscan sun" . It seems to be an interesting book. Unfortunately, I need a lot of time to read it, because I looked up too many words in the dictionary. Now I'll try to follow your advice. I'll read it without using a dictionary. I have a book called " Enjoying English ", i will read 15 minutes or more everyday after this, and thank you very much. Perhaps, I will read a lot of piece of news and some podcast. As well as I am going to watch plenty of films and series with english subtitles. Reading is a skill. I read the comment that you posted, you think that i should read more, but i think i don't have a problem with reading. I mentioned that i prefer literature than news, but i also read scientific research, sometimes. When a person starts learning english should read a lot because he or she learns vocabulary and helps to the development of language. Sorry, i think is not my case, i have learned english. You tried to give me an advice. I enjoy reading. I used to be very pleased to seek out this internet-site.I needed to thanks on your time for this excellent read!! I undoubtedly enjoying each little little bit of it and I have you bookmarked to check out new stuff you blog post.